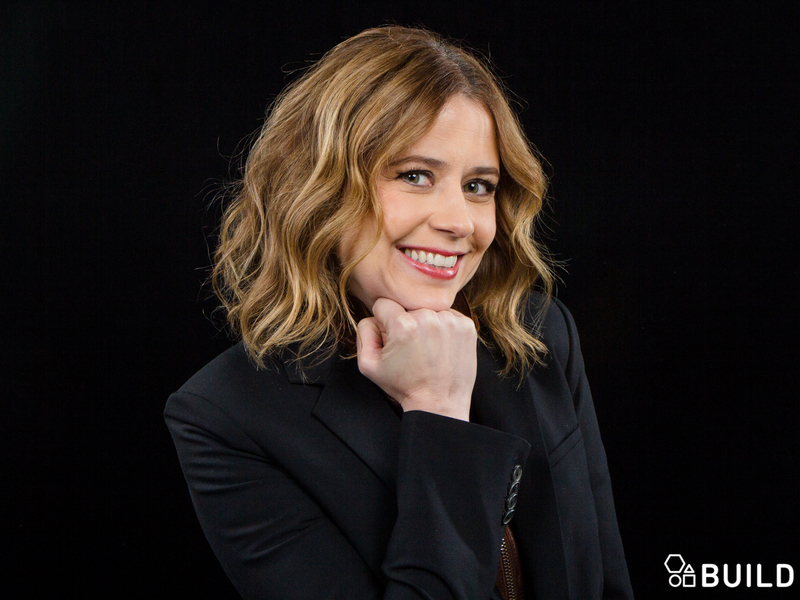 Jenna Fischer wore a muted cardigan and pantyhose as understated Dunder-Mifflin receptionist Pam Beesley on NBC's "The Office," which ended its run in May 2013. Since then, Fischer was busy taking a very pregnant pause. Quite literally. Until she was sent the script for the British series "You, Me and the Apocalypse," premiering on NBC on Thursday. "I was sort of coming off my maternity leave. I took time away to grow my family and enjoy that. To literally grow her," says Fischer, who was a son, 4, and daughter, almost 2, with filmmaker Lee Kirk. Until then, Fischer had made audiences swoon by finally consumating her love with Jim Halpert (John Krasinski) on "The Office." This next project was a whole new potential slam-dunk. Once she agreed to play a librarian wrongly imprisoned for hacking into the NSA, "They moved my whole family to London and we lived there for six months. I was only working one or two days a week," says Fischer. "When I choose jobs, it's not just on the merits of the material. It's also on the impact it has on my family." This time, everything just clicked. And the end result is a show as deadpan as it is delirious. Fischer's character, Rhonda, goes on the lam after a prison riot -- the result of the announcement that the world is ending in a matter of weeks due to a comet hitting earth. With us so far? She's part of an ensemble cast that includes a foul-mouthed chain-smoking priest (Rob Lowe), a white supremacist (Megan Mullally) and an uptight bank manager (Joel Fry). "It's a fun show. A big reason I took the job is that I got to wear a prison outfit for most of the show -- which is like going to work in your pyjamas," says Fischer. "I wear some disguises." She also got to live the life of an actual Londoner across the pond. "We took the bus! The red double-decker bus. You go up on the top and go to the library and do the sing-a-long and pick up groceries on the way back," says Fischer. Jenna Fischer and Dermot Mulroney on "Watch What Happens Live." Fischer swings by the AOL Build series on January 20, 2016. Fischer signs the wall at AOL BUILD on January 20, 2016. Fischer, here at the NBC presentation on January 13, 2016, plays a wrongly-accused hacker in "You, Me and the Apocalypse." "Apocalypse" costars Megan Mullally and Fischer at at the 2016 NBCUniversal Winter TCA Press Tour at the Langham Hotel on January 13, 2016. Fischer looks glam at HBO's Emmy after-party on September 20, 2015 in Los Angeles. Fischer is happily pregnant on April 1, 2014 in Beverly Hills. Fred Weller, Leslie Bibb, Jenna Fischer and Josh Hamilton take a bow during curtain call at the "Reasons To Be Happy" Broadway opening on June 11, 2013. It's a wrap for "The Office," on March 16, 2013 -- and for on-screen lovebirds Fischer and John Krasinski. Rainn Wilson, Fischer and John Krasinski at the wrap party for "The Office." Fischer and her husband Lee Kirk at the Screen Actors Guild Awards on January 27, 2013. Fischer as Pam Halpert on NBC's "The Office." Fischer and Kirk attend the CNN Heroes: An All Star Tribute at on December 2, 2012 in Los Angeles. Kristen Wiig and Fischer attend ELLE's 19th Annual Women In Hollywood bash on October 15, 2012 in Beverly Hills.